has anyone else heard of availability problems with DA di2 TT setup? 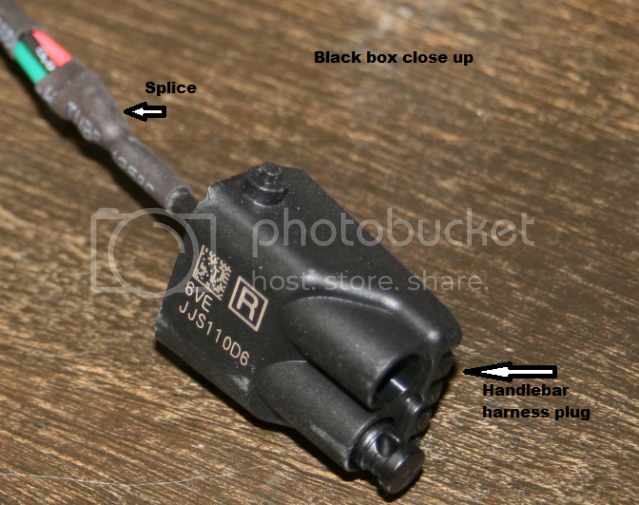 I have been trying to get it for > 2months now from my LBS in FLA. At first it was out of stock for 2 months, then when it came in finally last week, it was apparently external wiring harness not internal. They are now telling me the internal wiring harness is on backorder at wholesaler AND Shimano? My LBS is calling the Shimano rep to see if they can locate this internal harness. when is the Ultegra TT coming out? i might as well wait? What do you need exactly? Di2 TT with internal wire? Which length internal? I think I can help you out. This is so fun! Thanks for all information. I did this to my newbuilt chinese frameset. Fully internal cable routing. Christer, that setup looks absolutely awesome, well done on some extremely ingenious and well-thought-out work. 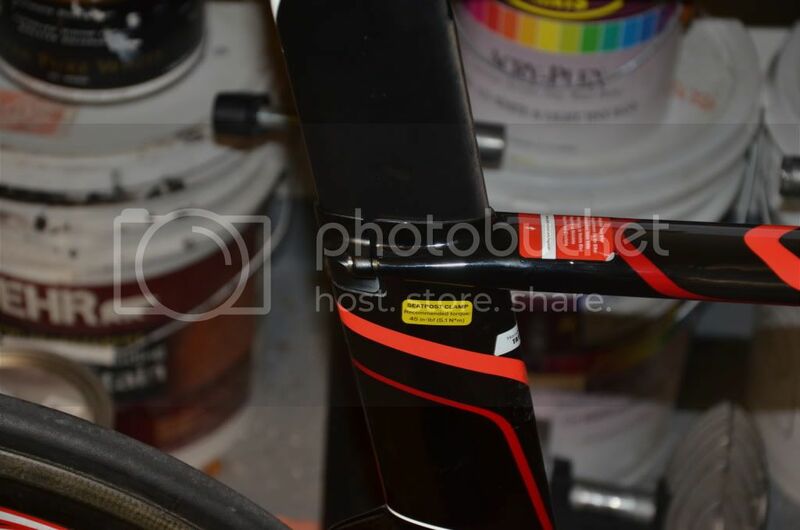 I recommend anyone thinking of DIY Ultegra Di2 to look at what the guy has done on his blog. Finding this site is gonna cost me lots of $$$. Check out a Clifford Valet switch. 3 wire with rubber buttons. Would mount nicely in my aerobars. 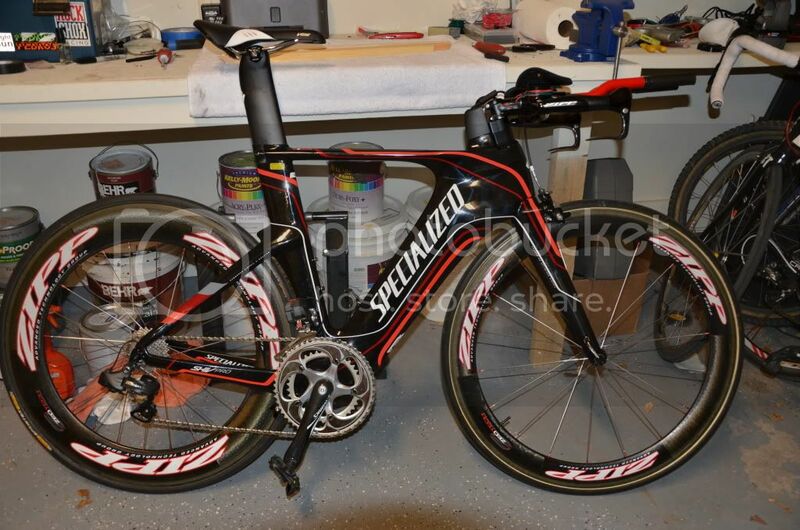 I would be very interested to see/ get the diagram, since im about to embark on a P5 / SHIV - TT project, and I believe your Info to be of a vital significance to me right now (national TT championship end of May). I would greatly appreciate it, cheers so much. What are the details on the frame? Looks much more aero than other Chinese frames I've seen. After a bunch of reading this thread and ordering and delays I have finally finished (well mostly) my Shiv Ui2 project. It was not that difficult once I figured out what i wanted to do and use for parts and such. I did run into a few issues that had to be overcome but nothing that difficult. All in all it cam out pretty clean looking and all that is left to wire up the remote switches on the bullhorns. This process will be easy as the wires to the shifter black box are already in place and just need to be connected to the cat eye buttons I have. Have only done the around the block so far but the shifting is crisp and quick. The bike needs fitting as well. Them stem/spacers are going to get changed and removed as it is too short and too high for now. Here are the custom made shifters. I bought a carbon fiber tube cut and drilled holes for waterproof switches and put the back box inside carbon tube which then slid over the aero extension. and finally the battery lives inside the seat post. This was one of the more difficult parts. I had to cut and grind down battery mount so it would fit down the seat tube. This took a while to get just small enough but once it was it slide right in and the battery is fixed in the post. A special thanks to Locutus who was a great help with the start of this thread and by patiently answering a number of private messages I sent him. Now I need to get out and ride!!! I posted some basic diagrams on how to modify and wire in momentary switches. If youd like, I can email them to you or help you out with specific details. Just let me know! And sorry for the delay in responding! Looks great! 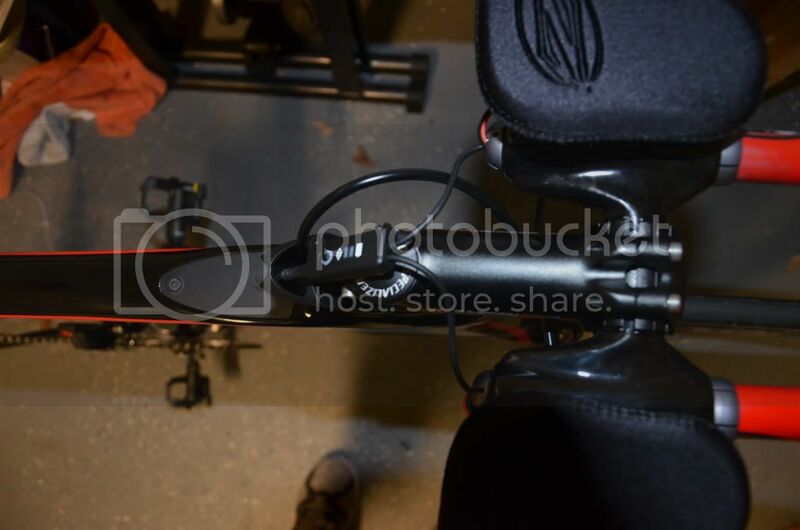 How difficult was it to trim down the battery mount to fit inside your seat tube? Your setup is very clean, good job! sorry for not coming back to you. I had knee surgery 2 weeks ago. As soon as I will be fit I post some pics of my BMC TM01 with the DIY Ultegra Di2. once I commited to making the battery mount smaller it was not so bad. I first removed the locking lever by pushing out the e-clip then removing the rod and platic lever. this is where it got interesting. It was still no where close to fitting. So i started o with some sharp tin snips and cut away anything that looked "extra." It still did not fit. I then used my dremel with a grinding bit to finish it off. It then fit down the seat tube. I soldered some wires to the remaing prongs, heat shrink wrapped connection and attached a plug to match the LiPo battery on the other end. The battery fit snug in te seatpost so I did not have to do much there except put the excess wire up into the seatpost. I also forgot to mention that I made my shimano wires longer as the longer ones all seem to be out of stock! I will try and take some more pics of the small parts. I will warn you that I did not try to make the stuff I knew would be internal pretty. Where's a good place to find waterproof buttons to purchase? I'm doing a similar project, but I'm really worried about what my sweat is going to do to those buttons. I've tried a bunch of google searches, but I'm ending up with large waterproof / marine buttons or little ones that aren't. Is there a good source for this stuff? If I'm offered to get a 2-way switchbox on a SHIV TT SHIMANO DA Di2 bike (meaning only extentions will have shifting and not on bull bars) will I be able to proceed and adjust through that configuration the same things as you did (momentary switches on bull bars!) ? cheers, fantasic job you did , really, phenomenal indeed ....!! Can you give more precise dimensions on the size of the modules? I am trying to determine if they will fit in the nose cone of my Felt DA (2010). Thanks. Hello, sorry for the delayed response. 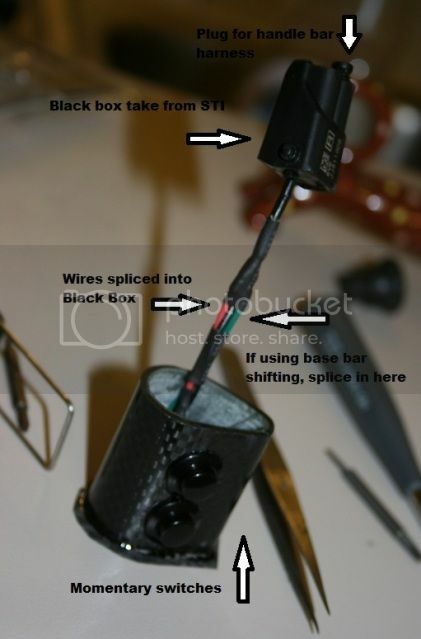 If you are using DA Di2 then adding in momentary switches will be relatively easy. You would just wire the momentary switches as shown in the diagrams and splice into the harness going to the aerobar shifters. Depending on the switches used, this can be done for $10 or less. I will be able to give you a precise measurements tonight but they are small enough to fit into the aerobar extensions so I would think that it wouldnt be difficult to fit in the nose cone. Thanks! I would really appreciate that - maybe I can get them in the bars instead - even better! Fitting in the bars is highly dependent on what bars you have. The Ultegra black box would NOT fit into my zip or oval concept round bars. I think they will fit in the profile ones that are larger on the end. I fit mine in the shifters I made out of carbon fiber tubes with a 222mm inside diameter. I also had to shave down the black box a little to get it to fit. I would check on the size of your bars first. Have joined the forum just to ask this question. Do you think/know if this will work? I have Cervelo S5 with Ultegra Di2 STI shifters and have clipped-on aero bars and want to get shift buttons on aero extensions. Am thinking about splicing the Cateye remote buttons to an extra Shimano e-wire (cutting off one plug end) and plugging other end into second "input" on STI shifters. Thanks. What you're describing won't work because an encoded signal needs to be sent to the input on the STI shifter. The cateye buttons by themselves won't do this. 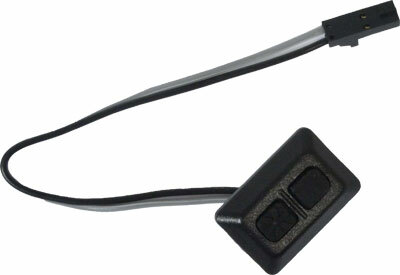 One option would be to splice into the wires leading from the contact switches inside your brake levers; the wires are how the internal switches connect to the circuit that sends the encoded shift commands. This would be the cheapest option, but you'll need to open up your existing levers. You would use standard wires, not "Shimano e-wire." 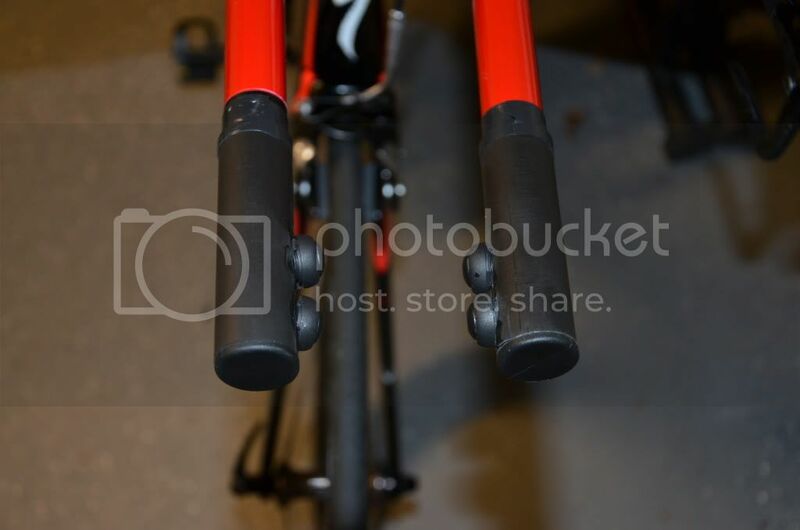 Space within the lever and routing of the additional wires to the aero bars may be difficult. The second option would be to buy an new set of Ultegra Di2 brake levers, remove the circuit board, connect the Cateye buttons to those leads, and then connect the circuit board to the second input on the existing brake levers using a Shimano e-wire. In this setup, the new circuit board would send the encoded shift commands for the aero bar buttons and the cateye buttons would be the inputs. The existing levers would continue to use their own circuit board to send shift commands. Yes, it would work if you spliced into the wires between the black box and x/y (up/down) shift buttons on the levers. I've done this mod before for someone who wanted satellite shifters with the STIs....space is tight in the splice area but can be done with small wires and patience!